SET SOME GOALS, SHOW UP, WORK HARD, DEMOLISH THEM. REPEAT. Our group CrossFit classes are the heart of our gym. 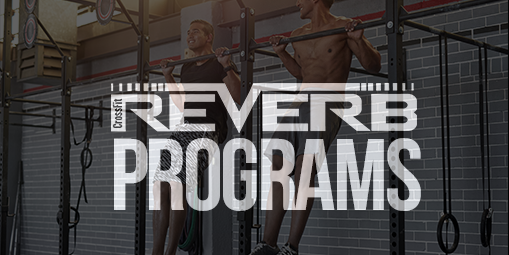 As an official CrossFit affiliate, Reverb programming is designed based on constantly varied, functional movements performed at high intensity. We combine the best aspects of gymnastics, weightlifting, running, rowing and more to help you achieve your fitness goals. All classes are run by a certified CrossFit coach, trained to help you master proper form, modify when necessary, and push yourself to achieve results. Workouts of the day (WODs) are designed to be accessible by all ability levels and can be scaled up or down as needed. CrossFit kids exists to help young people grow up healthy, strong, and confident. The design of our kids classes takes into account the unique neurological, cognitive, and motor needs of young athletes. Based on the ten domains of fitness (cardio-respiratory endurance, stamina, strength, flexibility, power, speed, coordination, agility, balance and accuracy) our young athletes have a blast learning skills that strengthen them physically and mentally. 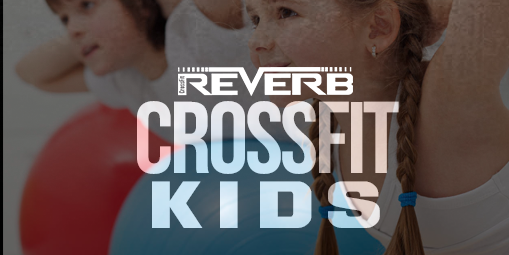 Coached by a certified CrossFit Kids coach, our kids classes combine workouts, skill development and fun games to promote a love of fitness in a fun and safe environment. Whether you are a competitive weightlifter or just looking to improve your Olympic lifts, Reverb is a great fit. With two Olympic platforms and quality coaches, Reverb will help you build proper form, speed, strength, and power. Are you ready to get in shape but short on time? 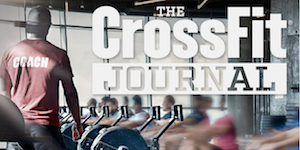 ExpressFit offers all the intensity of CrossFit in just thirty minutes. Based on high intensity interval training, ExpressFit workouts include bodyweight, kettlebell, and dumbbell exercises all while emphasizing development of a strong core. This program is fast, intense, sweaty, and FUN!